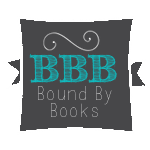 Bound By Books Book Review: Dirty Love by Kimberly Blalock is LIVE! Dirty Love by Kimberly Blalock is LIVE! I didn't fear what would happen if remorse knocked on my door nor did I fear the lustful way I stalked them, preyed upon them—the ones that couldn't have me, the ones who wished they could taste me—I was their darkness until I met one very tall, dark, and forbiddingly handsome Mr. Black. He hated me watching with darkness in his tormented eyes. He scared me, intimidated me, and left me questioning my own sanity. Until he didn't. He was the one thing I let myself submit too, his touch, the way he slid his knuckles across my flesh, igniting a dangerous spark inside of me. Kimberly is an International bestselling author of the Angel Trilogy. She has been writing since she was a young girl growing up in Kansas City, Mo. Reading and writing has always been a big part of her life. She enjoys a world she can get lost in while reading a good book. A wife and mother to four beautiful children she decided she wasn't busy enough. She spent some time chasing down fugitives as a bounty hunter then laid down her hand cuffs and finished her college degree in nursing. Kimberly loves discovering new music to jam out to and loves anything that's different. When Kimberly isn't writing she is playing superhero for her children.